I'm sitting in the darkness, at the end of another day. I turn the TV off and sit in the quiet. I think about tomorrow - how we're just going to do it all again I think about today. It feels like nothing that I did today mattered. I pray God, help me to understand the meaning of these ordinary days as I think through the things we did today. It was a good day, but we didn't do anything significant. Ordered groceries again, watched a friend's kids for an hour or so. We practiced our shapes and writing letters. Nothing significant learned, no mountain-top moments. Just the splash of another penny in the pool. Today was just a penny of a day. Nothing much. And in the quiet of the night, I think about my oldest Beth, who will be sixteen in a couple of months. When she arrives at her birthday she will have lived for 5,840 days. I tried to imagine what 5,840 pennies would look like. And then I had this slow dawning realization about the value of the accumulation of all of these days. All of the ordinary days I have spent with her. Not all of them were great, but a lot of them were good. I also thought of the blessing of the smallness of the impact of an ordinary day, when the ordinary day is ordinarily terrible. You know, the day when you're sick and you basically lay on the couch with the TV on and throw snacks at your kids. What a blessing that those days are just a penny off of the pile and not more. The blessing of the accumulation of small ordinary things. The thing of it all is the accumulation of days. The accumulation of good days and bad days. One good day isn't going to fix the accumulation of years of neglect but one bad day doesn't wreck years of being a good mom. One bad day doesn't put us so far into the red that we'll never recoup. It's the accumulation of days. I sometimes want my days to be hundred dollar days. I want them each to be snowflake-special with memories and impact and felt individual significance. And yet there is beauty in the accumulation of small ordinary moments. I was looking at my son Eli this morning, noticing how tall he has grown. I thought when did he get so big?! And I realized he simply grew a fraction of an inch every day. He grew imperceptibly day by day by day until he could stand at the kitchen table on his long gangly legs and play on the iPad. As I have been writing my book I have noticed this too - that it has been a lot of small moments that added up to writing a book, with very few "big moments" of writing or revelation. Just a few minutes here and there that added up to a project nearly finished. I have especially noticed how much I have grown as a person through the last couple of years and how that growth has happened a fraction of an inch at a time. I don't know if maybe you feel like this sometimes too - like your days are all ordinary and insignificant and your growth is imperceptible at best, non-existent at worst. So I am just going to leave it here, (because I'm going to need to remind myself of this again before long) the small things matter. P.S. the picture above is from a weekend last fall - the weather here in the Deep South is still swelteringly hot. But it seemed like a calm and quiet, ordinary moment. Grief is a funny thing. (Obviously, I don't mean ha-ha funny, I mean head-scratchingly befuddling) Sometimes I feel like, in our culture, we don't know how to grieve. Every September I end up colliding with the reality of this - my little brother Ian's birthday comes and goes and with it the pain of losing him at 16 to suicide. Then the very next day I celebrate the birth of my own oldest boy Josiah, who this year is turning 10 and he is the most excited about his birthday that he could possibly be. When Josiah was little, and the loss of my brother was fresh, this month I focused 100% of my attention on Josiah's birthday and Ian's birthday was just another day on the calendar, a day when I was busy getting ready to celebrate Josiah and not a sad day at all. But for the last couple of years, it has been hard. Joy and grief are cohabitating in this month - but that's life, right? You don't have to live for very long to learn this lesson - that joy and grief, sorrow and celebration, they do not stay in their own tidy little separated boxes. We don't usually get to experience life one thing at a time. They are all mixed together, baked into a shepherds pie - beauty and blessing one minute, and the next (or in the same breath) brokenness and pain. As I trudge through this day, a thought surprises me - that joy and pain cohabitate in the little space of today, but there is a third thing wanting to be here too - God's presence. He wants to cohabitate with my sorrow. He cares that today is hard and wants to share this space with me. It's hard for me to even begin to understand what that means - how to invite the Holy Spirit into my grief. It isn't something I necessarily have a vocabulary for. I hope that I'm learning a lesson - to face my sorrow on my brother's birthday and not wait until it flows over to the next day. I'm thankful that homeschooling is simple and that the weather is nice enough that we can spend a few minutes at the park. Today I'm leaning into the ministry of sunshine and music, and the joy of the sweet smiles of my little ones and the routine of an ordinary day. 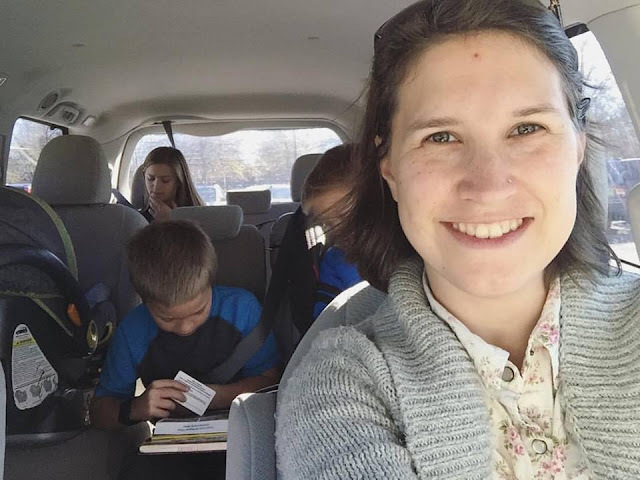 I was sitting in car line this morning, waiting to drop my son off at school, listening to the song "There is a Cloud" by Elevation Worship. The lyrics of this song talk about a cloud "beginning to swell" with blessings about to break out - the presence of the Holy Spirit raining down. As someone who just went through a period of a lot of rain both physically, in the form of Hurricane Irma, and also spiritually I have some thoughts about this. what about when the blessings of rain become the storm of a hurricane? I went through a two-year hurricane a few years ago and during this season of storms, nearly everything in my life was beaten down. My faith shuddered and the walls fell down leaving only a foundation, with only the most basic of beliefs, as God held onto me and I clung to my faith in the middle of the storm. On the other side, as the clouds began to clear and the debris on my shoreline was revealed I was overcome with shame - I was such a disaster. Weren't "good Christians" supposed to weather storms with strength and an unshakable faith? My faith had been shaken and tested and a lot of my faith had fallen down. So what now? I felt like Christians looked down their nose at people who are genuinely and thoroughly struggling. I had dropped their "right answers" and I questioned how to reconcile my pain with God's love. I lived in the shame of that storm-wrecked beach for about a year. I thought I had failed - I had been tested and I had been found lacking. But then in one remarkable moment, God showed me a picture of my beach storm-wrecked and full of debris but then I saw the Holy Spirit cleaning up my mess. He was the one doing the heavy lifting - I was just there to help. And this is what I discovered - God still loved me. He loved me as fiercely and as tenderly in the middle of my mess as He had in the middle of my religious pride - He loved me. He had held onto me and carried me tenderly all along the way and now it wasn't up to me to clean myself up. All I had to do was cooperate - to let go of the junk that was cluttering up my beach and to be allowed to be redefined. Over the last few years, this is exactly what God has been doing. He has been cleaning up my beach, He's been tearing down the old decayed buildings and clearing away the wreckage. Sometimes I'll pass by a spot that used to be standing and sometimes I think, for better or for worse, I'm not the same person anymore. I have changed a lot since then and the landscape of my faith has drastically changed. I thought nothing good could ever possibly come out of that storm but from where I sit now - I can say that it has. The Holy Spirit was tearing down some things that needed to be torn down and He has been rebuilding some things that need to be built. Now, all this time later I can say that that storm did me good. It was heartbreaking, but it did me good. And now that I'm on the other side I want to stand up and say, for everyone who is going through a season of storms, and for anyone who is looking around their own storm-wrecked beach wondering how anything good could ever come out of the storm - yes it can. Something good can come out of this. Something beautiful. You just have to let it. Let the season of testing, of pain and sorrow, trial and suffering, produce something good in you. Try not to fight the pain - just because this hurts doesn't mean that it's bad. And hold onto the hope that God is working good out of this wreck. I am here to say that through all of my failing and all of my faltering, through all of my flailing around and not believing God to carry me through this trial and storm, through all of my doubt that God could make something beautiful out of this - He loved me. He held onto me and He carried me through the storm and brought me safely to the other side. He cleaned up the mess and He built something new - something beautiful, something better. Lately, I have noticed that I'm not the only one. I'm not the only person who has gone through really hard things, and I'm not the only one who has had my faith tested. In fact, this seems to be a fairly common thing that ordinary people go through. And so if that's you today - if you feel like your heart looks about like those storm-wrecked beaches of the Atlantic coastline - I want to say to you that God still loves you, and He is for you. Your mess does not separate you from the love of God. Nothing can separate you from the love of God and definitely definitely definitely not a season of struggle. Definitely not being a mess. Definitely not doubt, and definitely not wondering what in the world God is up to in this season of struggle. So if that is you today, if you feel like you are indeed a storm-wrecked heart. This is what I think God would want to say to you: you are loved and you are not alone. Don't be afraid or ashamed. Come to God and let Him bring back order from your chaos. He will come and make all things new, come to Him in the middle of your mess. Come to Him with all your questions, all of your hurt and all of your aching and anger, and all of your longing and all of your confusion and all of your doubt. He is still here - He never left and through it all God loves you. Just wait, something really good just might come out of this. And stay tuned because I have another blog post coming about some thoughts about going through a season of storms. 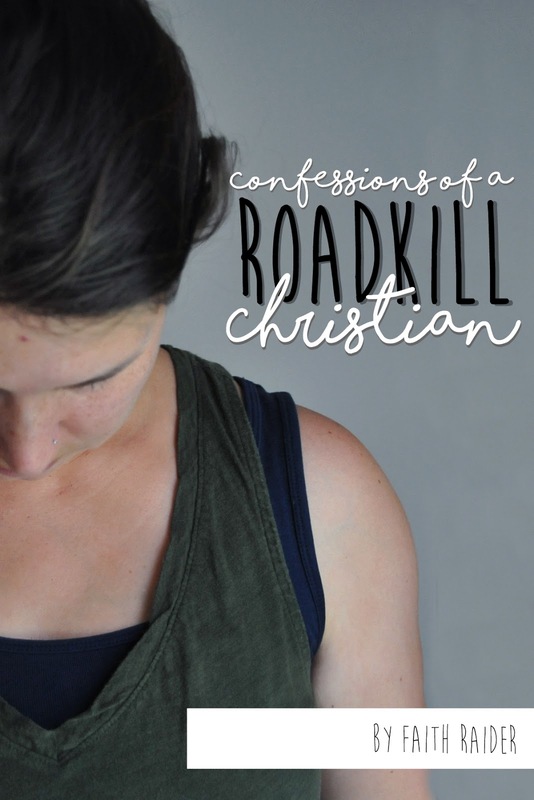 I wrote about my season of storm, and the shame I experienced in the aftermath - I'm calling it Confessions of a Roadkill Christian and it is launching in January. If you want to learn more about it click here. Here in Augusta, we have a day (or maybe two) before whatever is left of hurricane Irma sends keeps us at home. School is already canceled for Monday and I'm mentally preparing for the possibility of being home on Tuesday too. 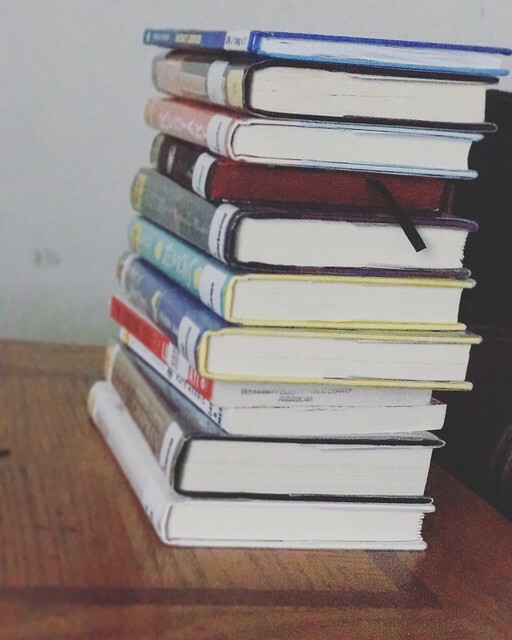 My main hope for this weekend is to make a dent in my (totally out of control) To Be Read pile. Because Christmas is around the corner, and sometimes it is most definitely not the most wonderful time of the year. Because not everyone sees the world the same way that you do. Because life is just better when we draw closer to God through His Word. Becuase "beautiful" is more than just a size. Becuase it is time to get out of the swampy place of fear and anxiety. Because the key to finding the friend you want is being the friend you want. Because sometimes life is really really not fair, and sometimes you just need a girlfriend who has "been there, done that" to be honest with you about when life does not go as expected. Because now more than ever we need to talk about the evolution of faith. Because marriage is more about holiness than happiness. I'll be posting about more Christian new releases soon! Sophie Kinsella is the queen of chick-lit and this one is my favorite - it's also the cleanest of her novels (that I have read so far). It is about a teen coping with anxiety after an undescribed incident at school and it is just so good. I read it quickly and enjoyed it thoroughly. Here is the basic plot: Jubilee Jenkins is allergic to human touch. She is working in a library which is where she meets Eric and his adopted son (who happens to be my favorite character of the whole book). It has light romance, lots of books and mainly happens in a library. So obviously, I loved it. Side note: the cover on Amazon looks different than the cover of the one that I checked out of my library. If you have asked me for a book recommendation in the last six months this is probably the first one that I suggested because I love this book. It is about Ginny - a girl with autism who was recently adopted. She is obsessed with her "baby doll" who she left in a suitcase under her bed at her apartment when the police took her away from her negligent mother and string of abusive boyfriends, but it becomes increasingly obvious that her "baby doll" was actually her baby sister. This book is everything I wanted it to be. I wanted to read it as fast as possible. I wanted to know what happened to Baby Doll. My heart broke for Ginny and her adoptive mom as they struggled to work through their relationship. It was nice to read something not romantic or dark or too deep. To be honest I didn't love "Where'd You Go Bernadette: a Novel" (by the same author) but I loved this one. It is about a middle-aged woman who is struggling with depression, feeling creatively stuck and suspicions about her husband's recent behavior. It is a terrific read and has a satisfying ending.